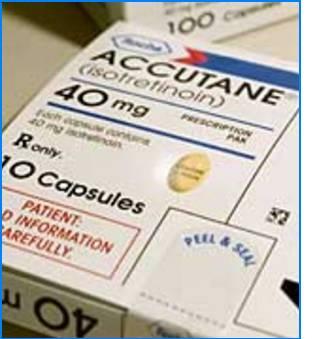 First, Some Background: Accutane is used to treat severe acne, and has been associated with a host of problems: birth defects, inflammatory bowel disease, injuries to the liver, kidneys, nervous system and pancreas, dermatological reactions, and even suicide. Roche stopped selling it last year after a 27-year run, citing competition from generics and the 5,000 pending Accutane lawsuits. Plaintiff’s Verdict: $25.16 Million: In May 2007, Andrew McCarrell emerged victorious in a New Jersey Superior Court Accutane lawsuit against Roche Holding AG. Mr. McCarrell developed inflammatory bowel disease, caused by the Accutane. (View the entire original trial on video, purchase required). That victory was short-lived, as the verdict was appealed and overturned (opinion here, courtesy Drug and Device Law Blog) because the trial judge should have allowed the defendants to present statistical evidence—that there were five million users of the drug. But, Mr. McCarrell persevered, and in a retrial that concluded Tuesday, received a verdict of $25.16 million. The jury determined that amount to be just compensation for 15 years of sickness, including five surgeries and removal of his colon. The jury agreed that Roche failed to warn about the risks of inflammatory bowel disease through the drug’s label. This is largest of six Accutane verdicts to the sum of $56 million. Expert Testimony Excluded in Accutane Lawsuit: In one of the suicide cases, New Jersey’s appellate court affirmed a trial judge’s exclusion of plaintiff’s expert study, used to prove general causation (that is, that the drug in general can cause people to commit suicide). The study was beset by problems, and the court allowed the expert to rework it, but finally ruled that it was not based on the methodology he claimed. The expert, however, may still be allowed to opine that Accutane can cause depression—that’s for the trial judge to decide. Perhaps this can just be chalked up to “win some, lose some.” By all reports, the suicide cases are not doing well, but the other injury lawsuits are picking up momentum.